Doesn't a Massage sound good? Check out our classes to help. From heart disease to weight loss. our office or calling (360) 254-0994. Check out our Google Reviews. You will know WE ARE your Best Choice! Vancouver WA, come see us today! office that is 2nd to none! Relieve your pain and discomfort while you relax with our Massage Therapy Vancouver WA from one of our highly trained specialists. Have you or someone you know been in an accident? 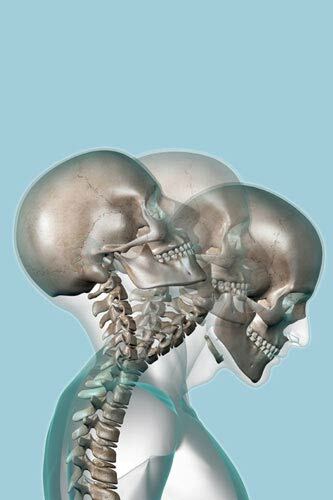 Our Auto Accident Chiropractor in Vancouver WA can help you recover! Looking for some guidance from a Health Chiropractor in Vancouver WA? Our holistic approach will get you on track! If you’ve been feeling pain or discomfort anywhere in your body, you need a chiropractor and you have come to the right place! Here at Yoder Chiropractic Center, our chiropractor will work with you to get to the root cause of the problem in order to effectively eliminate your pain for good. Any other doctor might prescribe you the same pain medication they prescribe to all their other patients, or some other kind of treatment you don’t need. Those kinds of treatments only serve to mask the pain; they don’t address the source. Chiropractic Care in Vancouver WA consists of several different approaches to pinpoint the cause of the discomfort, and then creating a treatment plan tailored to your individual needs and unique body type by a certified chiropractor in Vancouver, WA. Discomfort or pain can be felt by anyone and could be caused by a variety of different reasons, including sports injuries, chronic stress, whiplash, certain musculo-skeletal conditions, pregnancy, bad posture, or car crashes, to name a few, and a chiropractor can address all of these. Although the pain is most commonly felt in the neck, shoulders, or back, it can also present itself in other parts of the body. Chiropractic care has even been known to cure frequent headaches. Pain has no business lingering in our bodies for long periods of time. However normal you might think your discomfort is, it probably isn’t and a Vancouver chiropractor can help you. A pain pill might make you forget about it for a while, but quite often, a chiropractic adjustment will provide immediate and long lasting relief. Wherever your pain is, a chiropractor is sure to be the faster and more effective approach to feeling better. Feeling comfortable and pain-free in your everyday life will allow you the freedom to perform your daily routine faster, and still be able to come home each day with energy to spare. It can also improve your cognitive health and your sleeping routine. Utilizing a chiropractor, you’ll be happier, more comfortable, more active, more productive, and healthier overall. There’s really no downside to it! 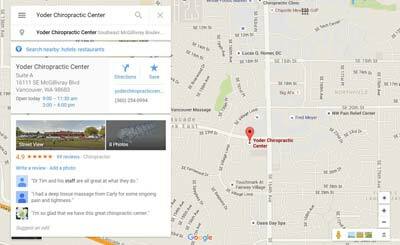 Why Choose Yoder Chiropractic Center for Chiropractor in Vancouver WA? When it comes to effective and high quality chiropractic care, Dr. Yoder is the best in town. What makes him unique in comparison to the other chiropractors is his holistic approach to chiropractic healing. He believes this approach is the healthiest and most effective, and we see proof of that each and every day. If you choose Yoder Chiropractic, you will not only be getting a healthier and happier body, but a highly qualified team of professionals who are compassionate and talented when it comes to their job. We understand that chiropractic care is a compound and very complex approach to healthcare. That is why we offer an extensive list of services, from skeletal adjustments to classes to help educate you about your own health to Massage Therapy. Each and every service is performed by an experienced individual who is knowledgeable and dedicated to their specific duty. Contact a Chiropractor in Vancouver, WA Today! For a healthier body, great chiropractic care, and a team of professionals who are dedicated to improving your life, choose Yoder Chiropractic for your local chiropractor. Contact us today and we’ll be happy to answer any questions or concerns you may have for your chiropractor and related services. We look forward to meeting you!